A last minute extension to reauthorise the use of chemical weed killer glyphosate, commonly known as ‘Roundup’, has been granted for a further 18 months. Commissioner Andriukaitis confirmed the extension today (28 June) just before the current license was due to expire on 30 June. The license is to be extended until December 2017 but after that time, the EU Council and Commission could still decide to ban glyphosate pending the findings of a report from the European Agency for Chemical Products on the health impacts of the product. Nick von Westenholz, CEO, Crop Protection Association, said of the news: "It is disappointing that Member States have forced the Commission into this position by ignoring the science and advice of expert regulators. "The indecision of Member States and the need for an extension demonstrates how politicised this process has become. "Nevertheless, it will be a relief to farmers that they will be able to continue to use this crucial tool, at least in the short-term. "Given that the extensive evaluation carried out by the relevant EU authorities, and over 40 years of robust scientific evidence has confirmed that glyphosate poses no risk to human health and that there is no cancer or endocrine disruptor risk, the standard 15 year renewal should have been granted. 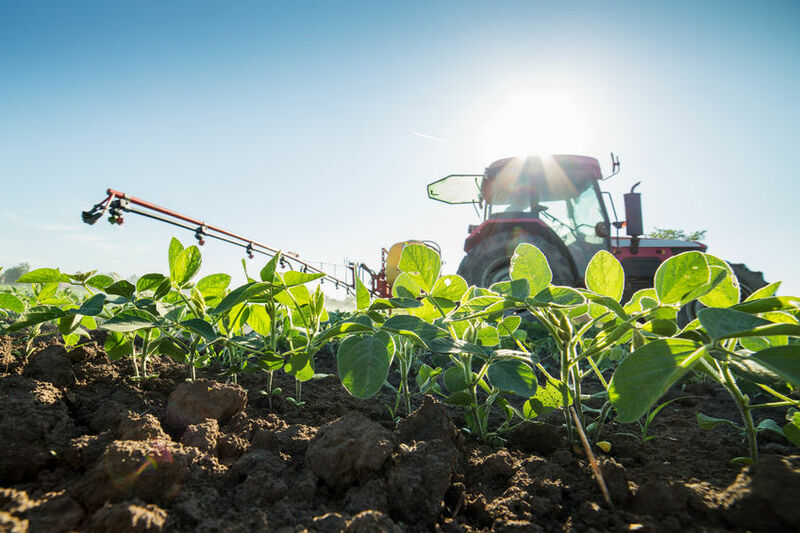 "The expiration of the approval at the end of June would have had serious consequences for UK farmers who rely on glyphosate as a cornerstone of sustainable, productive agriculture. "Whilst that situation has been averted for now, we urge Member States to take the sensible, science led decision to re-licence this safe, efficient and effective product for the full 15 year period once the 18 month extension has expired. CLA Deputy President Tim Breitmeyer said: "Glyphosate is desperately needed by farmers across the country battling with the debilitating effects of rye and black grass. "This extension allows for a definitive impartial view to be published before the license expires again. "To remove the licence based around poor science and a precautionary principle would be counterproductive. "It would add significantly to the cost of food production with a significant reduction in environmentally friendly conservation tillage and the consequential loss of organic soil carbon and thus further greenhouse gas emissions. "It could also mean the use of less effective but equally harmful chemicals at higher dosage rates." Disagreeing with today's ruling, Friends of the Earth farming campaigner Clare Oxborrow said: "Glyphosate has been given a stay of execution in Europe, but it remains the world’s most over-used herbicide. "Farmers have been told that this chemical is safe – yet there is mounting evidence of the harmful impacts on our health and environment. "Despite the Brexit vote, the Government must now see that glyphosate’s days are numbered and produce a phase-out plan for this and other damaging chemicals. "Farmers urgently need independent advice and support on other ways of tackling persistent weeds that do not harm our water, soils and wild species. "Longer term, the Government’s Brexit plans for farming must prioritise a food and farming strategy that builds a diverse, resilient system - supporting flourishing wildlife, sustainable healthy diets and thriving farmers’ livelihoods. "And local authorities should follow the lead of Hammersmith and Fulham council and stop using Roundup and other weedkillers containing glyphosate in parks, gardens and schools."